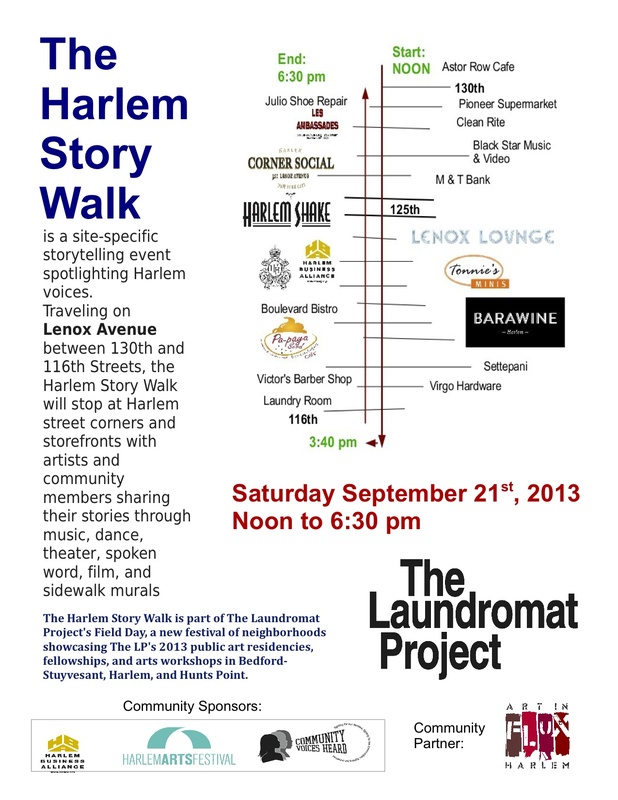 A traveling storytelling show transforming Lenox Avenue with Harlem stories, music, poetry, dance, film, art-making, and more! The Harlem Story Walk kicked off at noon at Astor Row Cafe (130th & Lenox) and, led by drummers, traveled down the east side of Lenox Avenue to 116th, then up the north side of Lenox Ave back to 130th. We stopped along the way for 28 pop-up performances from Harlem dancers, poets, artists, and community members. Passerby dropped in along the route to listen, view, share stories in open mic sessions, and participate in art-making activities. 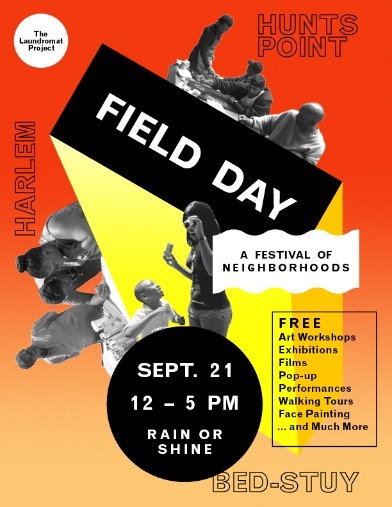 The 2013 Harlem Story Walk was part of The Laundromat Project’s first Field Day, which infuses the streets of Bedford-Stuyvesant, Harlem, and Hunts Point with free, fun, neighborhood-focused arts workshops and programs for New Yorkers of all ages.